Because of the high demand we are offering this exclusive Svalbard Extreme expedition on sail boat Arctica II again. After having used this boat for our private expeditions several times we decided to offer it again as a unique Wild Focus expedition. Traveling on Arctica II is not as comfortable as on our bigger boats. But its small size and the small group guarantees us the absolute best Svalbard experience when it comes to photography. 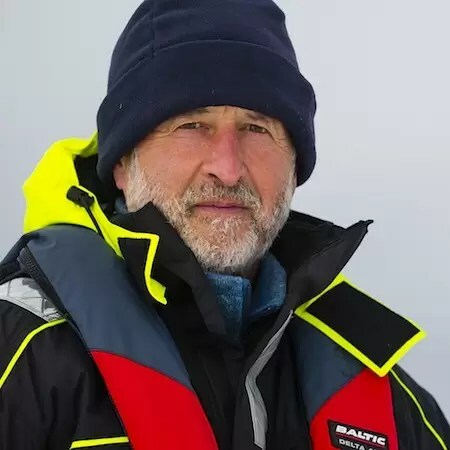 The owner and captain grew up on Svalbard and has been traveling on and around the archipelago for more than 30 years. Nobody else can match his experience when it comes to cruising the Arctic waters around Svalbard. On past expeditions on Arctica II, we enjoyed close encounters with walruses, polar bears, seals and even Beluga whales. Because the draft of the boat is much less than the one of a larger boat we can go places where nobody else can. We have chosen a time of the year when the mountains are painted in fall colors and the peaks are coated in powder snow. This expedition is a landscape photographer's dream with a bonus to see polar bears, walrus and many different seal species. We will have two zodiacs available that will frequently take us to shore for short hikes. During these walks we may see Svalbard reindeer and with luck, the elusive Arctic fox. Svalbard is one of the last wild frontiers on earth, every adventurer's, nature lover's and photographer's dream. This expedition is best suited for people who prefer experience over comfort. It is an adventure you will remember for the rest of your life. 25% in 12 months and 50% in 14 months 25% deposit, 25% due in 12 months and 50% due in 14 months after booking. Per Person Sharing, No Single Cabins. We arrive in Longyearbyen, Spitsbergen; transfer to our hotel; overnight stay at BaseCamp Spitsbergen, where meals are on your own. The next 11 days we will be exploring the western and northern coast of Svalbard in search of polar bears, walruses, seals and whales. We will discover magnificent fjords, massive glaciers and beautifully carved icebergs. Whenever the weather and location permits it the two zodiacs will take us ashore for short hikes. All meals are included as well as all beverages including alcohol. We kindly ask everyone to share preparing the meals and washing the dishes. It can be a fun social event. This is voluntarily. For most days our captain supplies pre -packaged meals prepared by an excellent catering service in Longyearbyen. Besides that Theo will cook his world-famous Gulasch one day that everybody craves for. It competes with Captain Heinrich's world-famous Reindeer stew. You can decide which dish you like better. We will arrive in Longyearbyen late in the evening. We usually celebrate the end of our expedition in one of the lively bars in Longyearbyen. The local characters, especially the coal miners add to the ambience and fun. We will then return back to the boat and spend the last night on Arctica II. We enjoy our last breakfast on the boat before disembarking in Longyearbyen in the morning. We transfer to the airport in Longyearbyen to connect to our outbound flights home. Please book your flight out of Longyearbyen no earlier than noon.